Breeding quality animals is a labor of love ... NOT a for profit venture. 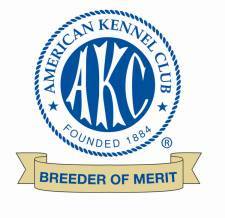 Responsible breeders spend hours studying their breed standard, their breeding stock, pedigrees, genetics and veterinary medicine. They spend lots of money showing their animals to others to confirm that they are actually worthy of being bred....not every animal, not every purebred animal ... not even every champion animal should be used for breeding....only the best! They spend lots of money to perform health screens on their dogs before using them in a breeding program. They breed when it is a match that they themselves want a puppy from and then they very carefully screen the potential homes for the best match for the remaining puppies. I have inquiries by phone and email almost daily as well as about 100 hits a day on this site. 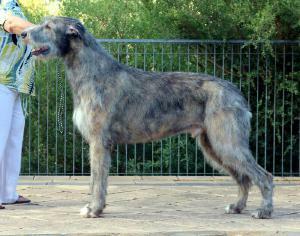 You have called and emailed from all over the country and even outside the US regarding our Irish Wolfhounds. 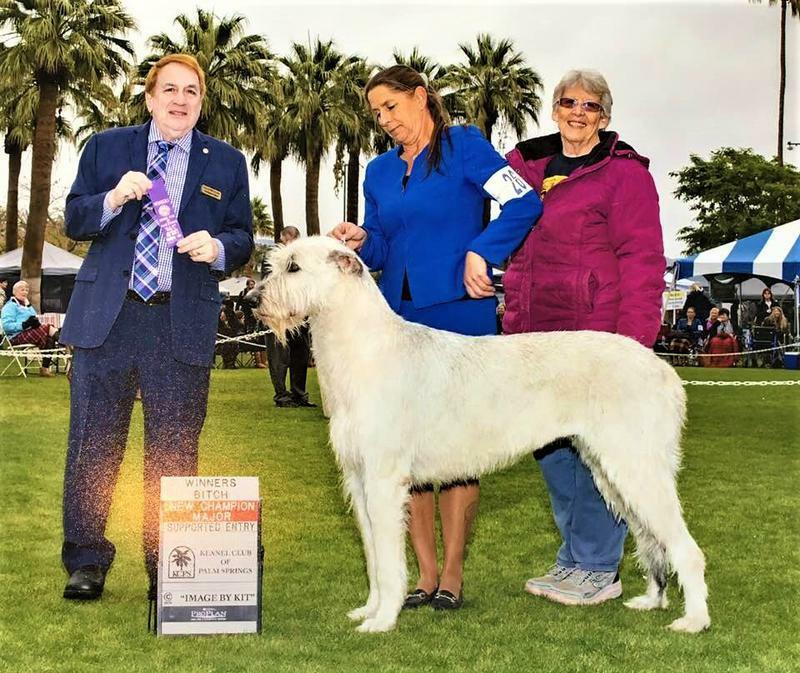 We feel honored that you recognize the quality of our dogs and the effort we put into producing healthy, sound examples of this most special breed. It is impossible for us to place a puppy in each home that wants one. I know this is frustrating for those of you waiting....all I can say is, it will be worth the wait. 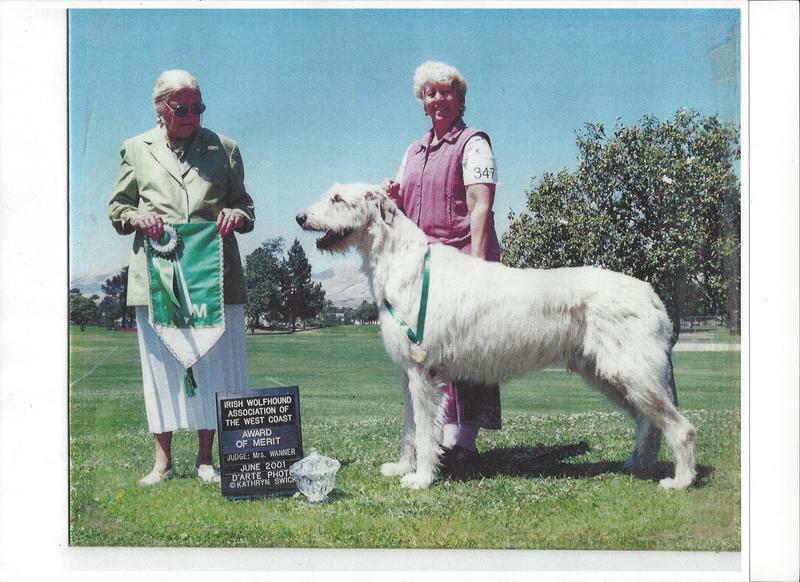 Most of us who have wolfhounds waited a long time for our first. I waited two years! Don't be fooled into taking any available puppy, just because you can. There are many slick websites out there, but that doesn't mean they are committed to the breed beyond getting your money. 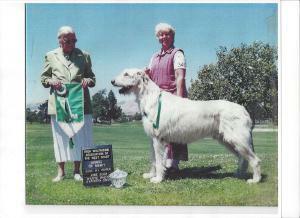 Ask about their history in the breed. 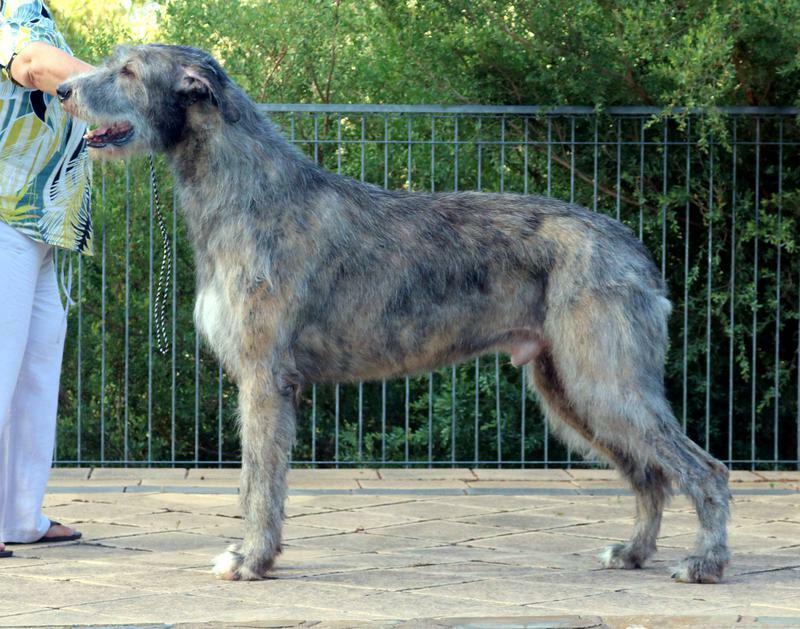 Ask how they determine whether their dogs are actualy breeding quality. Ask about health testing. Ask how you can know that they will be there to mentor you after the sale. Red Flags that something is just not right include: asking for a deposit before the breeder has a puppy available for you, offering you a puppy without talking to you about the breed and making sure you are a suitable home and that this is the right breed for you, no health testing done on parents, puppies leaving the breeder before 10 weeks of age, no or very few titled dogs in the puppy's pedigree, registration with a registry other than AKC or a foreign equivalent. CKC is not a valid registry as any dog who appears to be a purebred, without proof can get papers (in my opinion, only good to use to start a fire). Our promise to our puppy buyers is that we will be there for them and their dog forever...we will mentor and advise and encourage and eventually grieve with you. We stand by the Code of Ethical Conduct as presented by the Irish Wolfhound Club of America and expect each of our puppy families to do the same. Please read the following and become familiar with our commitment to you and what we expect from you before asking us about one of our babies. The initial breeding attempt was unsuccessful. We plan to try again in the summer. 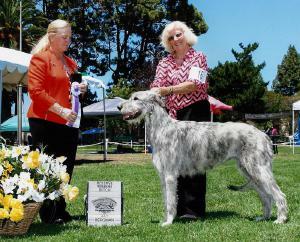 This breeding occurred January 24. Ultrasound has confirmed pregnancy, but the size of the litter and if there will be availability is yet to be determined..